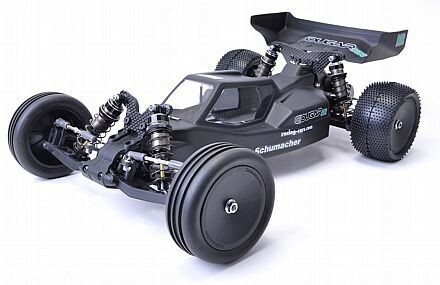 The new COUGAR KR is a professional, high performance 2WD racing buggy that has been designed especially for dirt and low traction surfaces. The KR is developed from the highly successful Cougar range of cars which have won countless races worldwide. The KR features a NEW gear diff, industry standard 12mm hex wheels, recessed alloy chassis and a new alloy anti-squat plate to name but a few! 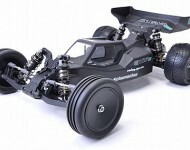 It also now sports Schumachers new stealth black look, first seen on the superb CAT K1 4WD. The Cougar KR, designed for dirt, designed to dominate!